The National Rural Employment Guarantee Act (NREGA) of the Government of India guarantees 100 days of job to every eligible rural household. However, the awareness of this Act amongst the rural poor is very low and even where they are aware they do not know how to proceed and which door to knock. 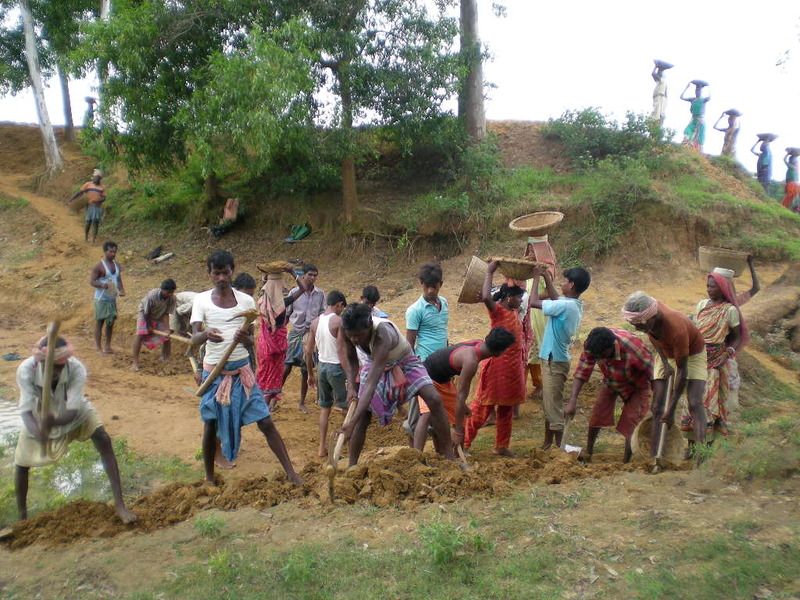 The society has been active in several villages educating the rural people with the details of the scheme and its benefits. 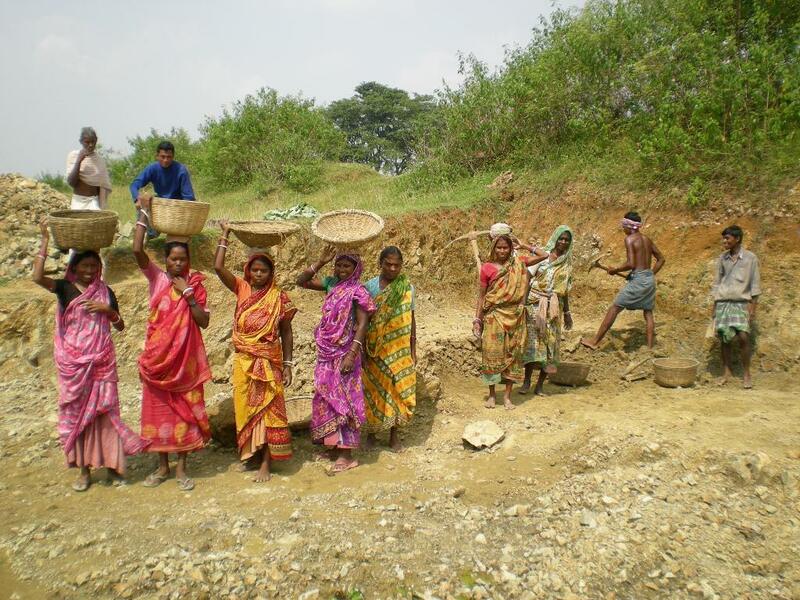 The Job card holders, who are largely illiterate, have been taught to apply for work under NREGA. The Society has distributed thousands of printed application forms free of cost and has assisted households to apply for work. This has helped many needy Job card holders get work under NREGA. With each passing day, more and more people are being educated to take advantage of this scheme. 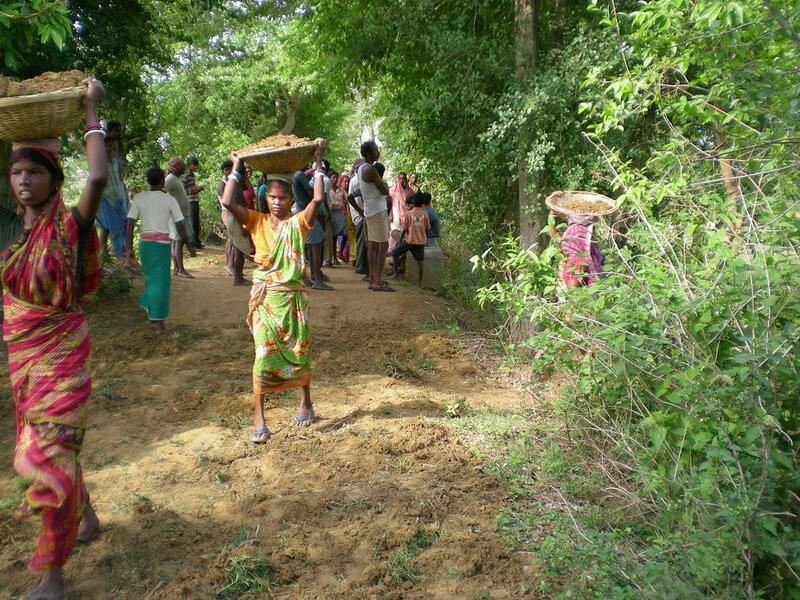 The relentless effort put in by volunteers of the society in NREGA has had a dynamic effect in many ways. 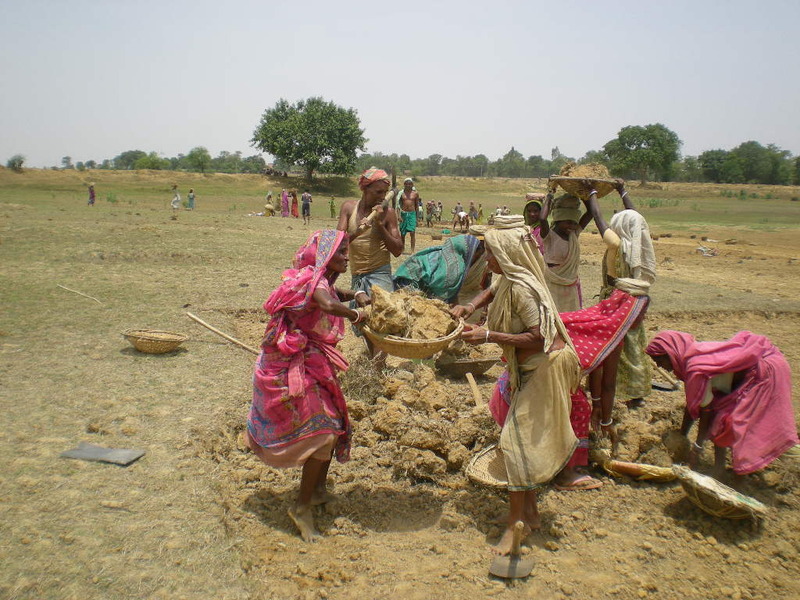 The NREGA beneficiaries, in a number of villages, are now much more aware of their rights and the role of the Gram Sabha at both the planning and the operational level. 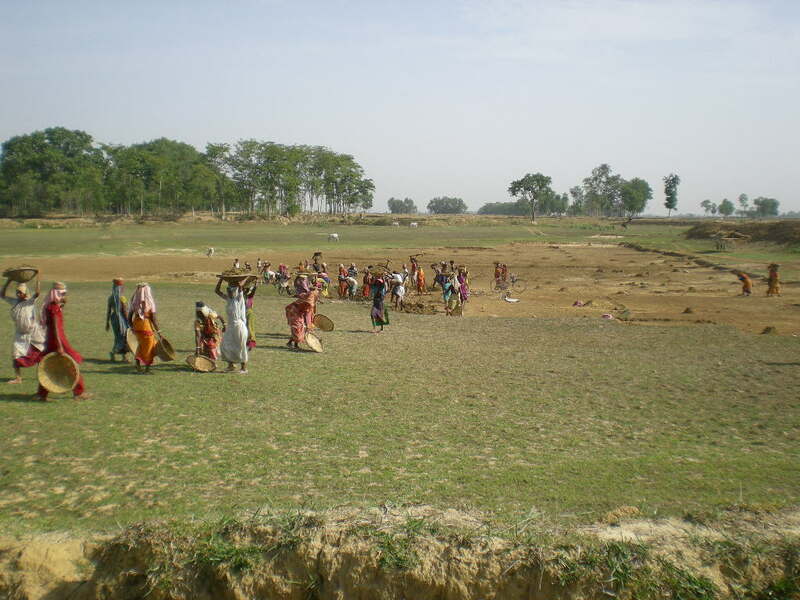 The impact of the efforts of the society is fully visible in the Rasik Nagar Panchayat in Boram Block, as here most of the job card holders applied for work in June 2009. 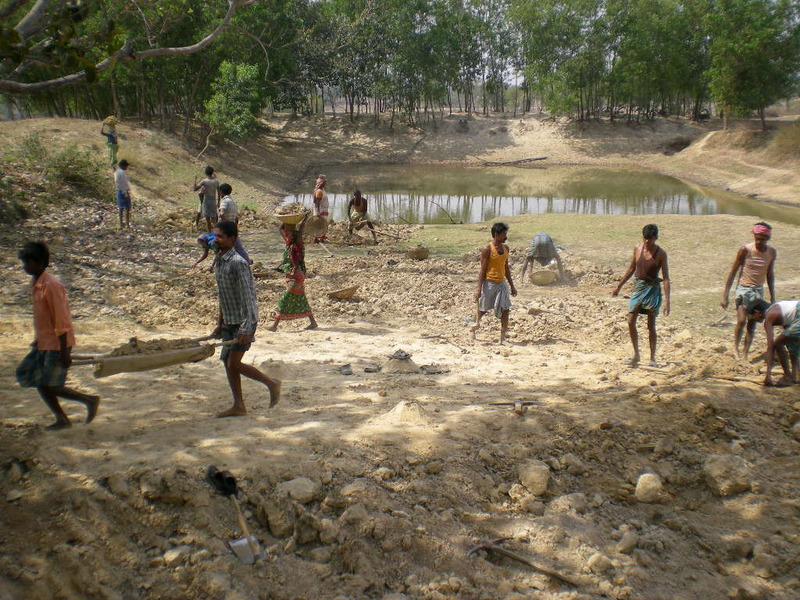 They were all provided work in the local pond within 15 days of application. At one time, there were more than 200 laborers working at the site and the Muster Roll was also prepared in a very transparent manner.